Saga Humane Society aims to help reduce the problems associated with community and street animals on Ambergris Caye by introducing a pet population management program, Operation SNIP (Spay Neuter Initiative Project). To reduce the breeding populations and reduce the number of street animals, 75-90% of all dogs and cats on the island will need to be sterilized in a 3-5 year time frame to be effective. Saga HS has pledged to raise money or bring visiting Veterinary teams to offer low cost or free spay/neuter, with a goal of 1,000 animals per year during this project. The primary objective of comprehensive animal management program should be to keep the population of dogs and cats on Ambergris Caye down to a level where there is no need to destroy healthy and friendly animals, but without accumulating them in the Saga HS shelter. To help us reach our goal of 1,000 animals for 2013 Saga HS is pleased to make available 75 free spay/neuters for the month of July. Dr. Baptist will be performing surgeries the second week of July. Dr. Don Tummons of Duck Hollow Animal Hospital in Uniontown, PA will return to San Pedro July 15-26. 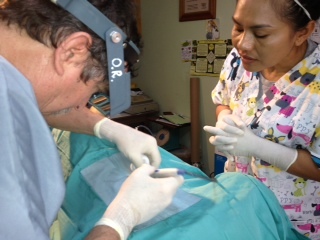 Dr. Dr. Don helped Saga HS kick off Operation SNIP on his last visit in March 2013 in which he spay/neutered 50 animals. 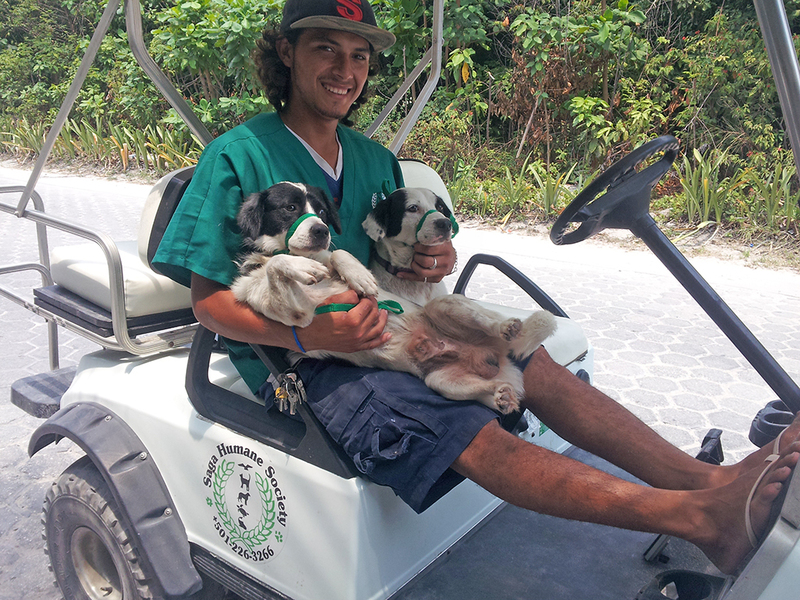 He and his assistant Mary Maykuth are superstars to Saga HS, they use their own vacation time to come and help the animals of Ambergris Caye. To help raise money and recognize our special guests join us Wednesday July 17, 2013 at Wet Willy’s Cantina for Cook Off- Summer Salads. Tickets go on sale at 6pm, serving will start at 6:30. Arrive early as tickets do sell out early. Cook Off entries should be able to serve 60 sample portions. There will be raffle prizes with all the nights’ proceeds benefitting Operation SNIP. San Pedro knows It’s Hip to SNIP!